So a few months back I had a words party that I bought a new dress for, it was just plain black with a lime green belt. I didn't own anything lime green so I went looking for some nail polish in NYX but they didn't have the exact shade, but they did have this eyeshadow. So I picked it up to try out. In the end I never made it to the event, so I never got to try it out and at the weekend when I was organising my make up, I came across it again and thought I'd live it a go. So as you can see from the picture, Summer Green is a lime green colour. Now i'll admit, I probably would have never of bought this shade if it hadn't been for this belt. But I'm really happy with the way my look turned out. I applied NYX summer green all over my lid and under my lash line, then used a black eyeshadow in the crease to give it that smokey look and finished it off with a touch of NYX jumbo eye crayon in Milk in the inner corner and just a touch of gold in the inner bottom lash line. Lashing of mascara and lined with a liquid eyeliner and kohl liner one my water line. What do you think? 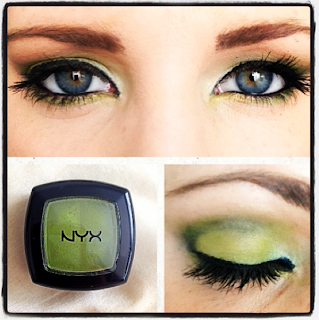 Would you wear green eyeshadow? I had never heard of Flormar before, but stumbled across one of their shops on a recent trip to Barcelona. I had plenty of time to kill so through I have have a look around the shop. Flormar originally started in Italy in the 1970's, after which it move to Turkey and has 40 years of success ever since. It seems to be a popular eastern and southern European brand which has shops in over 80 countries, but not Malta or the UK which I probably why I hadn't heard of them before. Having no preconceptions about the brand I just browsed the products to see what would catch my eye. One of which was these matte nail polishes. In the store I was in there was 100's of different colours to choose from but the matte range caught my eye so I picked up this turquoise colour and a red one. The brand it's self is a high street/drug store brand. These nail polishes were around the €3 mark so not expensive at all. The application is nothing to complain about, the brushes were easy to hold and the polish dried in a reasonable amount of time with a nice matte finish and only one coat was needed. I've been wearing the red on my toes for the last few weeks and have to say I'm really surprised how little(i.e not at all) that it's chipped, especially for a polish in that price range. Overall I don't have any complaints about these nail polishes, I picked up some other products from Flormar so I'm keen to test those as well. Have you tried Flormar, I'd love to know your thoughts? Back in September when I was at the Dean Gera Salon launch, I picked up a few items at the Make Up Store at The Point in Sliema, one of which was this eyedust in shade "hot". Hot is a metallic rose gold pigment powder which is just....well rather beautiful. Make Up Store is a Swedish brand which launched this year in Malta. The product quality and prices are along the lines of MAC. If you haven't been yet, you need to go just to see all the colourful and sparkly products they have. The eyedust is very light weight and applies effortlessly and is very well pigmented with a metallic finish. If you want your eyeshadow powders to last longer with a more intense colour I would recommend picking up some mixing liquid, it can instantly transform any of the products you have. All you do is put a few drops in a small mixer, something like a bottle cap or lip and add some powder/pigment. Below you can see the difference between the two. On the left is the powder, and on the right is with mixing liquid. I love this shade because it's very versatile, you can wear it during the day for a soft look femminine look and then with lashing of liquid eyeliner and mascara for sultry evening look. I haven't even thought about a dress or anything else but I think i'll be wearing this to some Christmas parties next month. I bought the Elizabeth Arden Prevage sunscreen around 4 months ago and I've almost ran out so I thought now was a good time to review. I know what you're thinking £51 for a face cream! I had been thinking about buying it for a while and eventually took the plunge (covering my eyes as I hit 'buy now') and I am so glad I did. The packaging is in a squeezable tube and comes with a brush applicator for easy application which has an on and off switch so the product doesn't leak out. The formula of the product is really light weight and non-greasy and applies really well and soaks quickly into the skin. While we all know it's important to wear SPF everyday, this product also acts a great primer and moisturiser as well. I've been using it everyday for the last 4 months and have really noticed a big difference in my skin, even more so when I've skipped a day my make up doesn't sit quite as well. A part of me was hoping this wasn't going to be an amazing product so I wouldn't have to repurchase it as it is expensive, but sadly it is truly amazing and really does work wonders and while my bank balance won't thank me my skin definitely will! If you've been thinking about buying this product, I would recommend you go ahead because it is really worth the money, I've had over 4 months use out of this and I probably still have a few weeks yet so it has been worth it in the long wrong. Elizabeth Arden Prevage Triple Defense Shield Sunscreen is available from FeelUnique.com with free worldwide shipping. Being an expat I get so excited when UK/American products/services get launched in Malta(how excited was I about HD brows!). Now nail bars aren't new thing but it is in Malta. I remember seeing nail bars as a teenager and always imagined how fun it would be to hang out with friends and get your nails done but sadly up until I left the UK I had a job that required my nails to be short and unpainted. How as an adult with a desk job i'm free to paint my nails what ever colour I wish. If you're a woman in Malta it's more than likely you get your nails done regularly, we all have our favourite salons but sometimes it can be hassle - there is no parking, your appointment is in the middle of the day but you have loads of errands to run. Now the new Pronails nail bar might not solve all your problems but being conveniently located in The Point shopping centre does make it hassle free. There is ample parking(free with treatment of over 45 minutes), you can do your grocery shopping, grab some lunch and get your nails done all under one roof. Sounds good to me! Pronails offer a wide range of services from gel nails, pedicures and quick polish change and everything else in between. The prices are very reasonable and are the same as any other salon on the island if not cheaper. Below is a few examples of their treatments. Are you excited there is finally a nail bar in Malta? There is something about french skin care brands we go crazy for and Lierac Paris is no exception, and I'm sure you'll all be happy to hear Lierac has now launched in Malta. Lierac is owned by the Alès Groupe in France, which you probably won't have heard of but you may have heard of their other brand - Phyto. Their Phyto 7 Daily hydrating cream for hair is one of those "must have" products and has be raved about over and over again by beauty bloggers. So with that under their belt I couldn't wait to find out more about their skin care range. Lierac was first created in 1975 and for almost 40 years they have been sticking by their principles of medical expertise, scientific credibility and rigorous ethics and helping women(and men) to feel their best both in beauty and in sensations of wellness. The Lierac range can be broken down into 5 categories - anti-againg, daily essentials, dermatological, body care and sun care which covers everything you could need to do with your skin. Now I could go on forever about the products - there is certainly plenty of them, but for now I'll leave you a peek at what they offer and follow up shortly with some in-depth reviews of their products. If you can't wait to try these products, they are available to purchase from Franks in Malta. Have you tried Lierac already, what are your thoughts? Now you're probably thinking, why am I talking about ice cream on a beauty blog. Well there is a few reasons but we all know its just as important to look after our bodies inside as it as outside. I try to drink more water,eat my 5-a-day and exercise regularly but sometimes that doesn't always happen but it's a lot easier to do when you enjoy these things or they are fun. Well last week I stumbled across a recipe that I wanted to try, and well I've tried I and have just put my spoon down and wanted to share it with you guys. 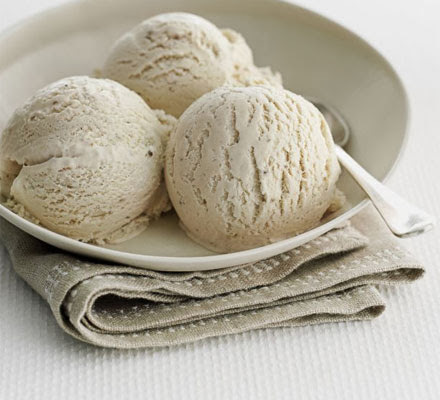 You guessed it - Banana Ice cream.....with only one ingredient - Bananas! Super healthy, super tasty and one of your 5-a-day what more could you ask for! 5) Put bananas in food mixer and mix on high for 3-5 minutes until ice cream consistency. How easy as is that? Just note - that when you first start mixing the bananas they will go grainy, but keep the mixer going it will just suddenly turn into ice cream (trust me). Now you are free to enjoy one of your 5-a-day. You can even mix it up and add some chocolate chips or sauce, whatever you want. I think this is a great recipe for everyone, especially as a healthy alternative for kids, it's really surprising how creamy and ice cream like this taste. I'll never need to throw away bananas again. If you have tired it, or do try please let me know what you think. NYX mega shine lip glosses have to be one of my favourite. The formula is non-sticky, the colour range is amazing and not to mention they smell like bubble gum. I bought a few last year online and loved them and now that NYX has opened in Malta it's just feeding my addiction even more. At the NYX launch party a while ago I picked up another gloss in Pink Rose. As you can tell by the name it's a pink shade with a pearl finish. Another great thing about the Mega Shine Lip Glosses is that they a very affordable and you get great value for your money. I can't remember the exact price but they are some where between 5 and 6 Euros. The packaging is really cute as well and has a little bow on the lid. Whenever i'm going somewhere I always grab one for my handbag. NYX Pink Rpse Mega Shine Lip Gloss is available from NYX store in Sliema. When I heard that Philip Kingsley were launching in Malta I was pretty excited. Being an British ex-pat living here for a number of years it's always amazing to have British brands launch in Malta. So last weekend I went along to the launch event to find out what was in store. 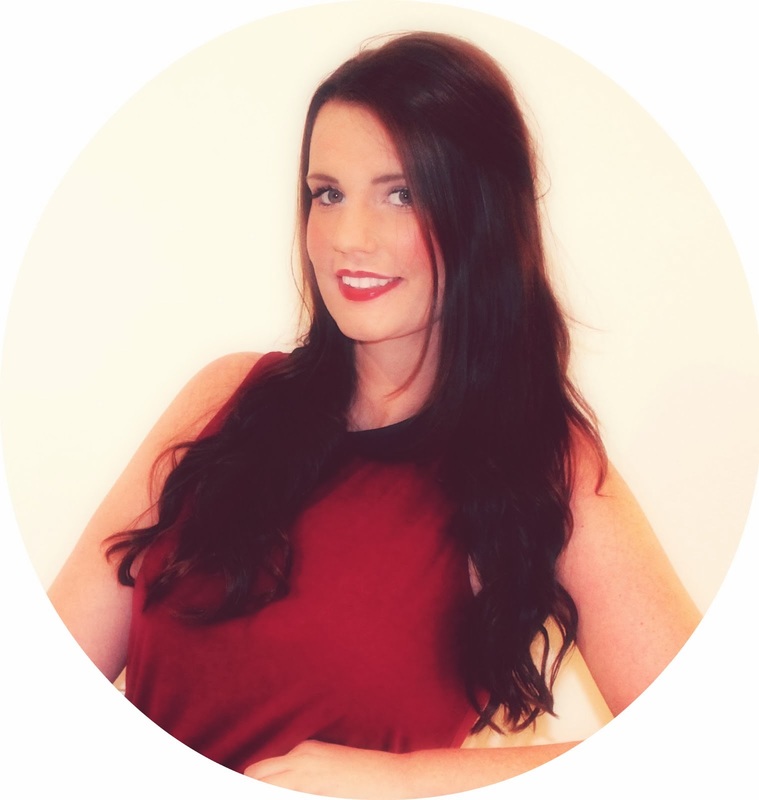 If you haven't heard of the famous Philip Kingsley Elasticizer, where have you been? But for those of you who haven't heard about Philip Kingsley let me get you up to speed. Philip "the hair doctor" Kingsley is the founder of Trichological Clinics in London's Mayfair and Harrods and also in New York. Having almost 60 years of Trichological(hair and scalp) experience he is the worlds most respected authority on hair and scalp health. He coined the phrase "Bad Hair Day"! Their products are award winning, and they have a product for every imaginable hair problem as well as products to keep your scalp healthy such as scrubs and toners. Products and treatments should be hitting the local salons in Malta near the end of the year. They will also be introducing Hair & Scalp spa treatment which is a 45 minute treatment where you scalp and hair is thoroughly taken care of while you relax with a head massage! I can't wait to try that one out. Once I find out more about the salons and prices, I'll follow up with another blog post and some product reviews. Are you excited for Philip Kingsley launching in Malta?